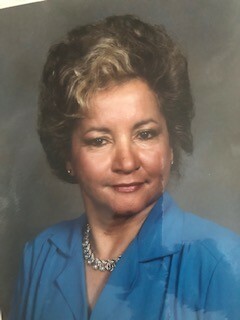 Mary R. Jordan, 89 of Ocala passed away on Tuesday, November 6, 2018. Mary was born in the beautiful city of Ponce, on the tropical island of Puerto Rico to Jose and Manuela Rojas. She was strong in her faith and lived a Christian life. Mary is survived by her loving husband, Joseph Jordan, Son Joseph Bigas(Mary), daughter Yvonne Manning(Daniel), Son Marion Bigas(Angie, son Lloyd Dennis Bigas (Elizabeth), daughter Yvette Wallace. Twenty-three Grandchildren, twenty-one Great Grandchildren and several nieces and nephews. Joe and Mary enjoyed traveling and visiting her favorite place, Paris, France. They enjoyed many road trips together as well. She had many friends and was willing to give a helping hand. She will be remembered for her positive and jovial spirit that was stern only when necessary. We will always remember her beautiful smile which could give light to the darkest room. A Mass of Christian Burial will be Monday, November 12, 2018 at 8:30am in the Queen of Peace Catholic Church. The family will receive friends on Friday, November 9, 2018 from 5:00pm to 7:00pm in the Roberts of Ocala Downtown Chapel. The family wishes to thank you for everyone’s thoughts and prayers. In lieu of flowers, contributions may be made to the Alzheimer’s Association, alz.org in Mary’s honor.